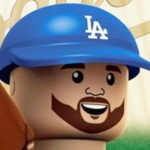 With Howie Kendrick back (almost), the Dodgers’ roster is pretty well set, aside from your multiple-time-a-year Andre Ethier and/or Carl Crawford trade rumor. There is a question about the lineup, though: Who’s going to hit leadoff? It’s an interesting question. There isn’t a clear-cut leadoff hitter on the roster right now. Joc Pederson is the prototype for a leadoff guy: power, speed, on-base ability — but we all know about his struggles in the second half last season. Contact rate matters at some point, and his second-worst-in-baseball contact rate just won’t cut it out of the leadoff spot (or almost anywhere, really, when coupled with his poor second half). There also won’t be a universal leadoff hitter for this team. It will be a different guy against lefties and righties. The Dodgers traded Dee Gordon last winter. He has been referred to as a “true” leadoff hitter, which is false because it’s based on his ability to run fast. The definition of “true” leadoff hitter shouldn’t be what it once was. Gone should be the days of the low-OBP, fast leadoff guy. Gordon is coming off a career-best .359 OBP, which is plenty acceptable for a player of his ability (high contact, no power). But he’ll need to prove that he can continue that kind of production with a sub-5 percent walk rate. The only reason Crawford is even considered as a leadoff option by traditionalists is because he’s fast. Getting away from the definition of “traditional” leadoff hitter is best for all teams. On-base skills are much more important compared to speed from the leadoff spot. Now, that doesn’t mean I want Yasmani Grandal or A.J. Ellis hitting leadoff, but they’d be better options ahead of Crawford, simply because they get on base at a higher clip. Not to mention he’s firmly behind Andre Ethier on the depth chart. If Pederson could prove that last year’s second half isn’t the norm for him, he could conceivably handle the task against both-handed pitchers. He and Puig are the only guys on the roster who would make sense to do so. Puig seems better suited for the No. 2 through 6 spots in the lineup, but he has started 45 games in the leadoff spot in his career (.286/.369/.497 in an admittedly flawed split). The Dodgers would benefit more by having Puig’s presence lower in the lineup (even if it’s the No. 2 spot). Kendrick has the best contact skills among all the players listed, but he, like Crawford, doesn’t draw a ton of walks. A .336 on-base percentage isn’t bad, but when a guy like Pederson posts a .361 OBP against righties, that trumps Kendrick’s contact-based OBP. The best options for right-handed pitchers is Pederson, despite his shortcomings. The work he has done so far this offseason should pay off in the form of a more consistent hitter. The best option for left-handed pitchers is clearly Hernandez, who hits better than Scott Van Slyke against southpaws (.423/.471/.744). It doesn’t matter what position Hernandez plays — when he’s in the lineup against lefties, he should be the team’s leadoff hitter. Next How Do You Feel About the Alex Wood / Hector Olivera Trade Today?